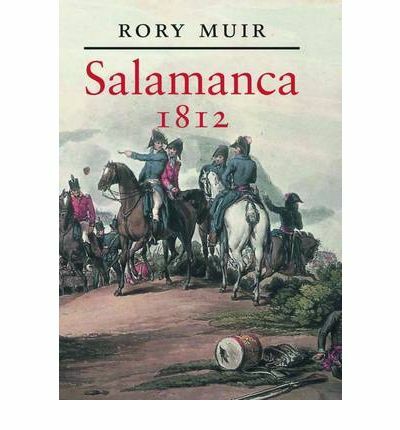 I've just finished Salamanca 1812 by Rory Muir, and found it a really good read. I didn't know a lot about this battle beyond the basics; ie. Wellington's first offensive battle, Marmont wounded, the French trying to outflank the British and Wellington sending in Pakenham's infantry and Le Marchant's heavy cavalry to completely rout the French. The author forensically examines the records and recollections left from the battle and compares them to the accepted historical narrative and comes up with some surprising, but convincing arguments to refute some of the most cherished anecdotes and motives of the battle. For instance, Muir refutes the argument that the French were trying to outflank the British because they feared that Wellington was going to try to slip away. There simply is no written evidence from the French or British side that supports that argument. Rather, he is of the opinion that because Marmont and his next 2 subordinates were wounded so early on in the battle that all command and control was lost and hot-headed local commanders such as Generals Maucune and Thomieres took it on themselves to start a flanking maneuver without waiting for proper support. The author in part agrees with the Iron Duke's dismissive assertion after the Battle of Waterloo that to write the history of a battle is like trying to write a history of a ball; no one person can have a thorough overview of all that happened with exact times and people involved etc. he sifts through all personal recollections and compares them with official regimental and army returns of killed, wounded, prisoners, missing etc. to try to come up with the most reasonable explanations for what happened, killing a few sacred cows along the way (ie. there is absolutely no hard evidence that Wellington was eating his lunch which he threw away in excitement when he noticed the opportunity presented by the over-extended French dispositions). Muir breaks up each chapter into a narrative section and a commentary on the sources cited in the narrative where he expands on the difficulties presented by conflicting evidence or no evidence at all. 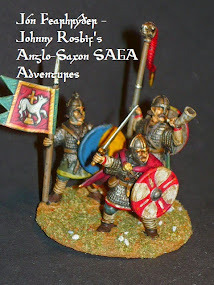 He also makes the point of emphasizing how over the years that authors of secondary accounts of the battle, confronted with gaps in the narrative, have embellished on the known facts to make the story flow better. As each secondary account has been cited by the one following it, these embellishments have grown in size and importance until they have become accepted fact when in reality there is no primary evidence to back them up. 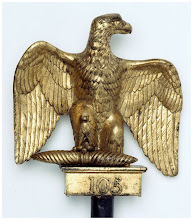 Of course history is written by the victors and there is frustratingly little primary evidence from the French side which has left quite a few puzzling gaps as to why certain French commanders moved their troops as they did and even where exactly they moved their troops. Filling in the gaps as best he can the author has admitted that it will never be known for sure exactly how and why the French made the mistakes they did. The only other accounts of the battle I have read have been part of other more general histories of the Peninsula War and emphasise the destructive attack on the French right flank by Pakenham and Le Marchant. What I never picked up from these accounts was how hard fought the battle was in the centre where the French actually broke several British and Portuguese divisions. It was only the fact that their left flank was crumbling and that the British reserves were well placed in support that the French were forced to give up their gains in the centre. This was a heavy going academic read, but I found it really rewarding in the detail taken to examine the sources so precisely. Don't read it if you're expecting a light, easy read; for that stay tuned for my next review: vampires in Russia! We're All Going on a Winter Holiday!